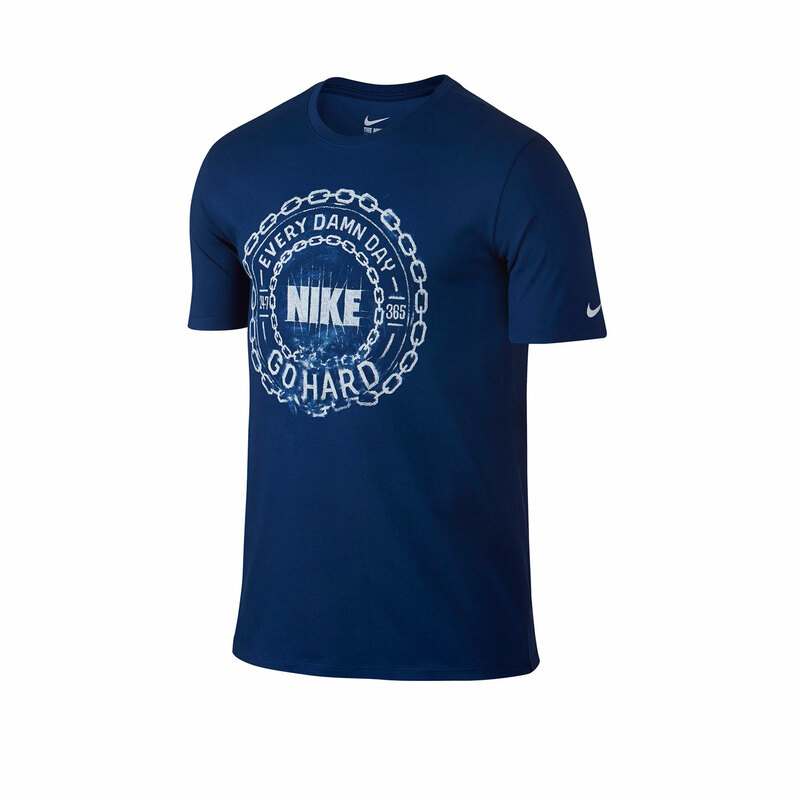 The “Go Hard Every Damn Day” T-Shirt from Nike features a streamlined style and classic comfort, supplemented by sweat-wicking fabric for serious training. Interior tape along the back of neck moves smoothly against your skin for even more comfort during your workout. Classic trademark design complements a slogan that defines your attitude as a trainer.